A risk-based CAPA process is a common goal of medical device manufacturers, but until recently “risk-based” was not clearly defined. The biggest fundamental change in both ISO 9001:2015 and ISO 13485:2016 is an emphasis on risk-based process management. 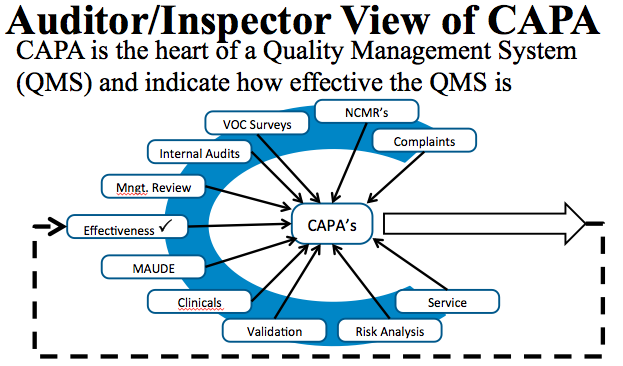 The CAPA process is the heart of your quality system and one of the most important processes. Therefore, this presentation gives you a whole new set of tools for managing your CAPA process using risk-based approach. A risk-based CAPA process is more than prioritization. This webinar goes beyond simple prioritization of CAPAs and color-coding of CAPAs as high, medium and low risks. Instead, Rob Packard reviews best practices in risk management (i.e., ISO 14971) and he applies the more rigorous risk management process to the CAPA process. Join us for this free webinar presentation as our speaker helps you integrate risk management activities with your CAPA process. 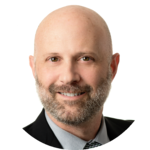 Robert Packard is a regulatory consultant with 25 years experience in the medical device, pharmaceutical and biotechnology industries. He is a graduate of UConn in Chemical Engineering. Robert was a senior manager at several medical device companies—including President/CEO of a laparoscopic imaging company. His Quality Management System expertise covers all aspects of developing, training, implementing, and maintaining ISO 13485 and ISO 14971 certification. From 2009-2012, he was a lead auditor and instructor for one of the largest Notified Bodies. Robert’s specialty is regulatory submissions for high-risk medical devices, such as implants and drug/device combination products for CE marking applications, Canadian medical device applications and 510(k) submissions. The most favorite part of his job is training others. 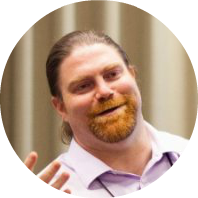 Rob started the new FDA eCopy service to print and ship submissions to the FDA, because it saves his clients hours of time when compared to outsourcing the printing to companies like Staples and OfficeMax. The new high-speed printer and the eCopy checklist saves hours for every submission. If you are located outside the USA, this will save you even more time and money. Go here to learn more! As a new customer you will save $100 on your first FDA eCopy submission.